The world’s leading cause of death and disability is also the most preventable: High blood pressure is a stealthy assassin that wreaks silent havoc on your blood vessels and vital organs, including your heart, brain and kidneys. Nearly one in three adults has hypertension, the leading risk for stroke and a major contributor to heart disease. Yet nearly half of these people don’t have their disorder under control, despite the availability of low-cost, effective medications for hypertension, according to research presented at a recent BaleDoneen Scientific Update for healthcare providers. What’s the optimal blood pressure goal–and what are the best ways to achieve it? Here’s a look at the latest scientific discoveries, plus key takeaways you can use to dramatically reduce your risk for strokes and heart attacks. One in three adults have a blood pressure disorder that doubles risk for fatal cardiovascular events, yet often goes untreated. Along with the 67 million Americans who have hypertension (systolic blood pressure–the top number–of 140 or above OR diastolic pressure–the bottom number–of 90 or above), another 70 million have pre-hypertension (systolic pressure between 120 and 139 OR diastolic pressure of 80 to 89). Until recently, people with pre-hypertension were often told that their blood pressure was “a little high, but nothing to worry about.” Actually, studies show that prehypertension raises stroke risk by 55% and more than triples it for heart attack! BaleDoneen takeaway: Have your blood pressure checked regularly and talk to your healthcare provider about how to lower it if even one of your numbers is abnormal. Treatments for high blood pressure include lifestyle and dietary changes and in many cases, medication. There is a new, lower target for blood pressure. Until recently, a commonly recommended target for systolic pressure was 140. A landmark clinical trial called SPRINT compared outcomes in people treated to this target (using an average of two medications) with those who received more intensive treatment to reduce their systolic pressure to 120. The more intensive therapy, which involved taking an average of three medications, reduced rates of cardiovascular events, such as heart attacks, strokes and heart failure, by nearly one-third. The study included more than 9,300 people ages 50 and older of diverse ethnicities with a combination of high blood pressure and at least one other risk factor for heart disease. BaleDoneen takeaway: SPRINT data is powerful! Reducing the blood pressure goal from 140 to 120 saved lives, since there were 25% fewer deaths from cardiovascular and other causes in the group that received the intensive therapy. That’s an extremely impressive benefit from taking one additional medication! Elevated systolic blood pressure (SBP) is more dangerous than smoking or obesity! A 2017 study that examined data from 8.69 million people from 154 countries found that SBP of 110 or higher is one of the top risks for health problems, including coronary artery disease (plaque buildup in the vessels that feed the heart), stroke and chronic kidney disease. The researchers also reported that 30% of the disease burden fell on those with SBP of 110 to 135. 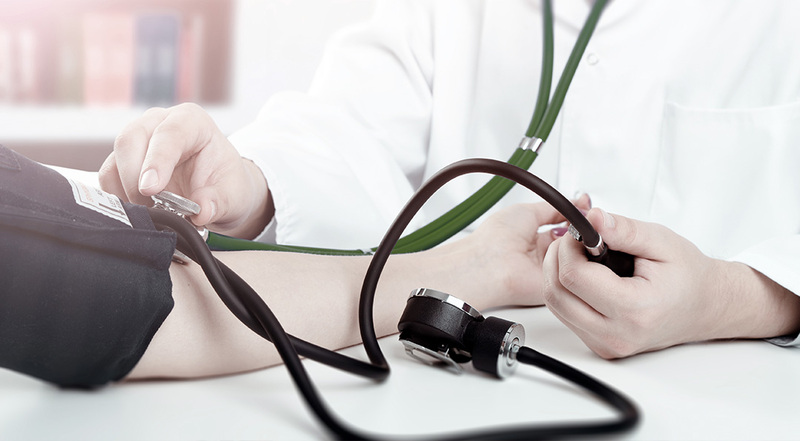 BaleDoneen takeaway: While SBP of 110 to 119 is not cause for concern, you may want to discuss natural ways to reduce blood pressure with your medical provider. These include mindful meditation to reduce stress (an important contributor to elevated blood pressure), beet juice (which has been shown to reduce SPB 4 to 5 points within hours of drinking it), eating foods that are rich in magnesium (which helps regulate blood pressure), such as dark green leafy vegetables, unrefined grains, and legumes, and getting 7 to 8 hours of sleep a night (skimping on slumber is linked to increased risk for hypertension). Your morning blood pressure may be the best predictor of heart attack and stroke risk. A 2016 study of 21,591 people with hypertension found that morning measurements (when blood pressure tends to be highest) were more accurate for predicting which participants might be headed for a heart attack or stroke, compared to readings taken at home in the evening or those performed by clinicians in medical settings. The rate of CV events was significantly higher in people whose morning SBP was 145 or higher, compared to those with a reading below 125. BaleDoneen takeaway: While home blood pressure readings are an important way for people with hypertension to monitor their health, it’s crucial to know the right technique, When using a wrist blood-pressure cuff, the reading will be inaccurate unless the device is positioned at heart level. A good way to tell if the device is correctly positioned is to hold the arm with the BP cuff across your chest as you would if the national anthem were playing.